• To investigate the how different forces may be combined to produce equilibrium. We are persistently striving to sustain our high credibility in the market by providing a commendable array of Kinetic Theory Model. We are a top notch supplier of Kinetic Theory Model. 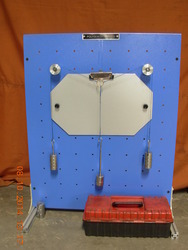 Mechanical Arrangement used to study the air pressure experienced on the object placed inside the cylindrical tube. 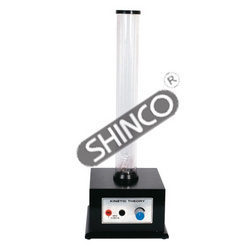 The apparatus consists of a clear perspex tube 250mm long x 50mm outside diameter provided with a light, freely sliding expanded polystyrene piston and a loose fitting metal cap. We are engaged in offering Kinetic Theory Model. Our company has been successful in winning appreciation from the clients as one of the most prominent names in the trading of Kinetic Theory Model.